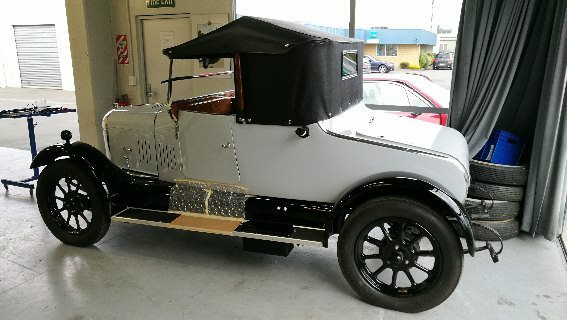 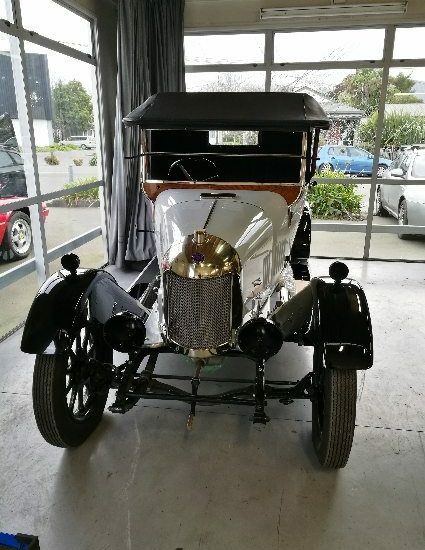 The Bullnose Cowley came onto the market in 1915 and was manufactured until 1926 when the flat nosed Cowley replaced it. 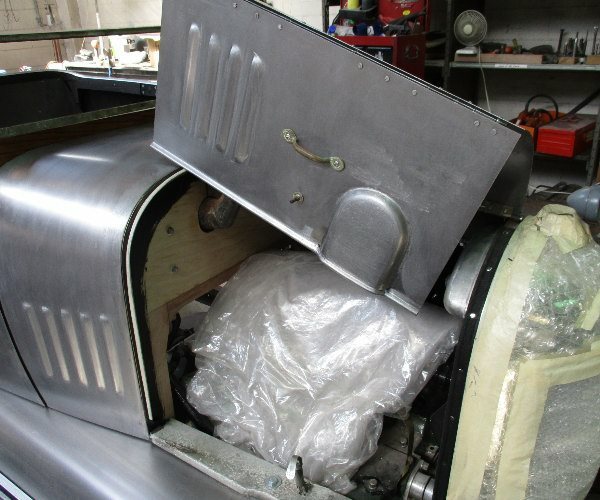 The first of them had American Continental engines of 1500cc providing the power. 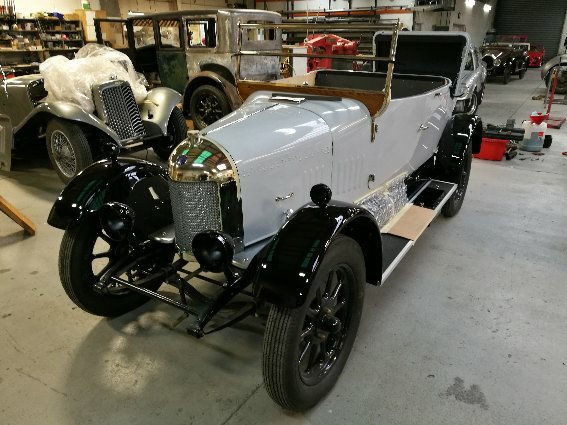 In 1920 the powerplant changed to a locally made Hotchkiss unit, effectively a copy of the Continental unit. 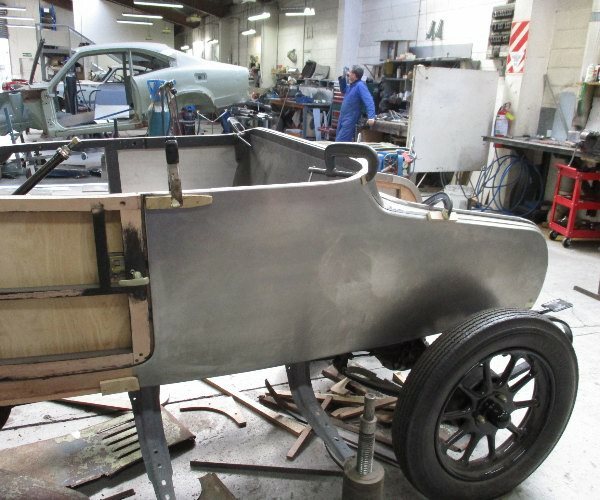 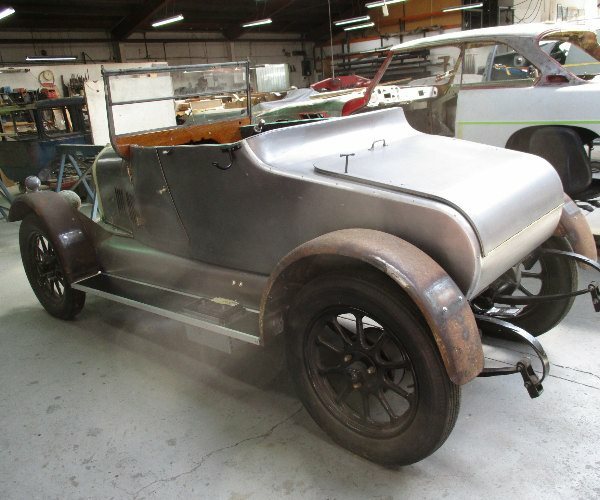 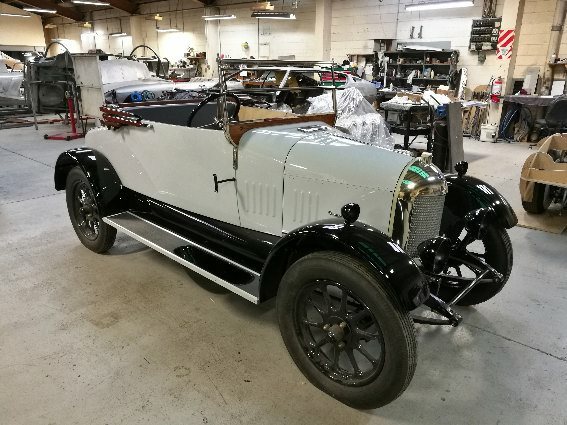 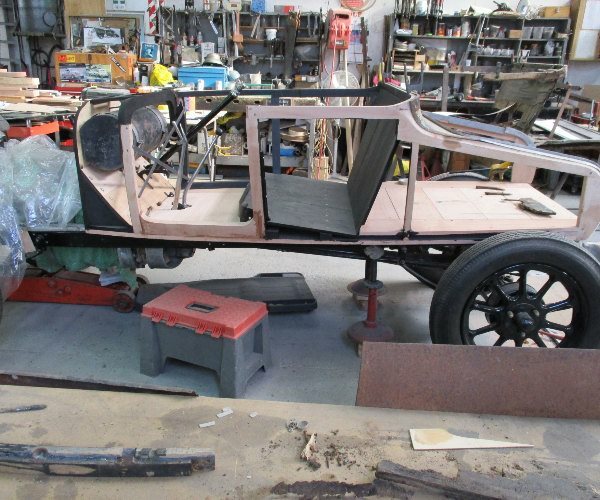 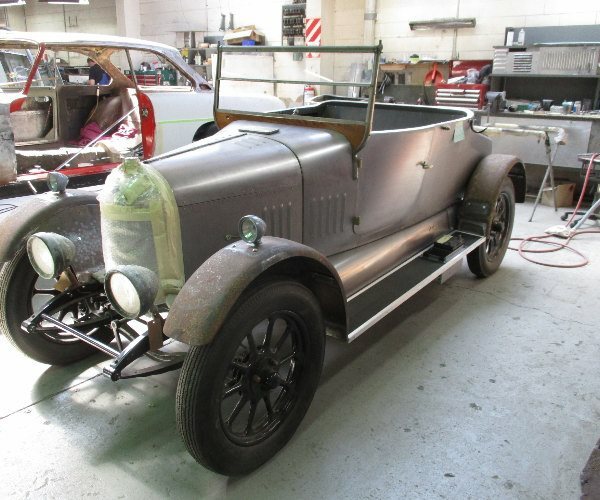 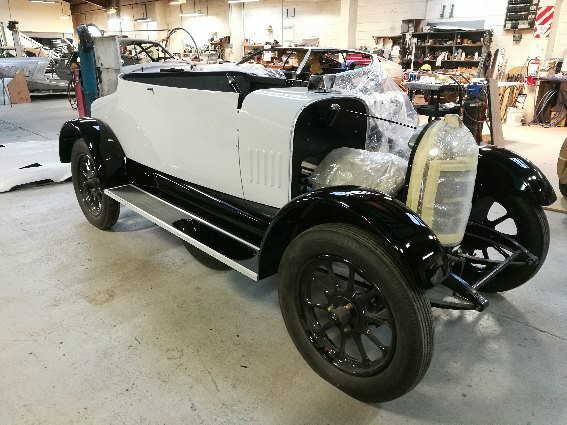 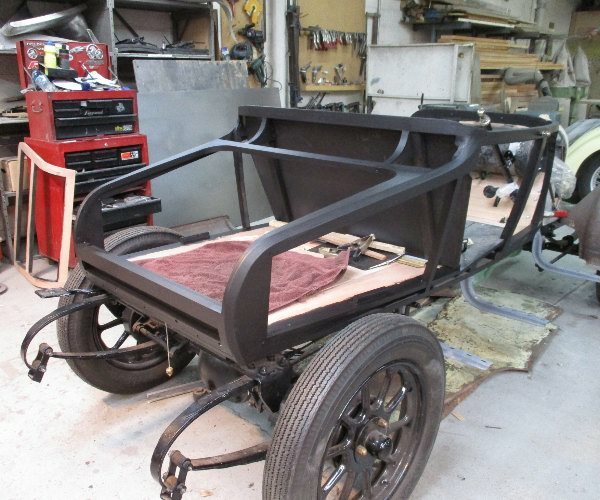 1923 saw Morris making their own engines with an 1800cc engine now available alongside their 1500cc. 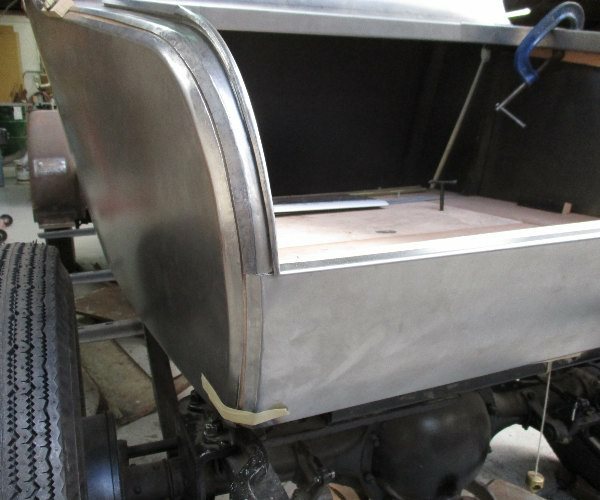 Open top tourers and roadsters were the options for body styles along with various commercial body options. 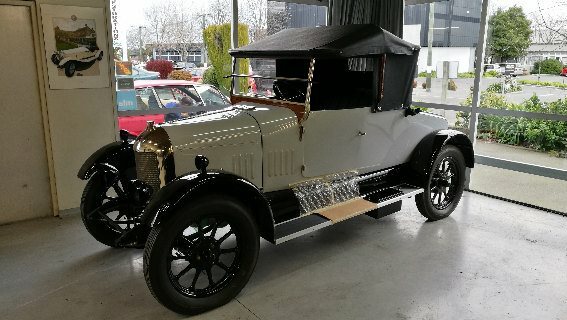 The Morris Cowley was a very popular economy car in the 1920s and a big seller for the company. 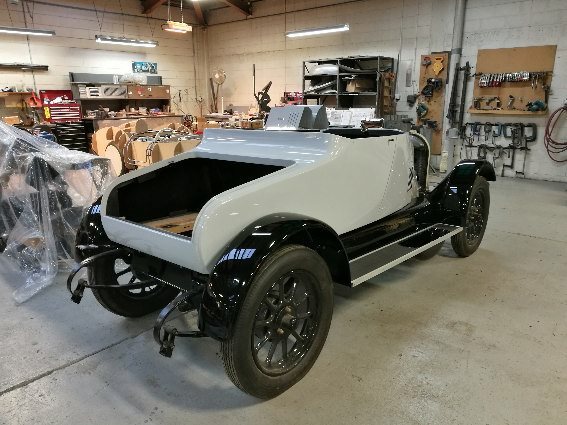 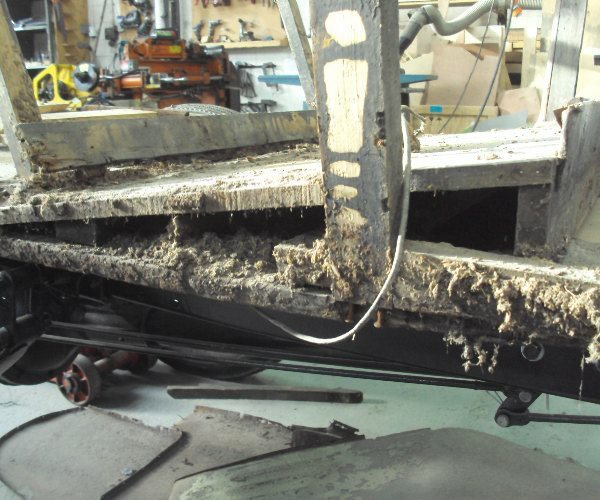 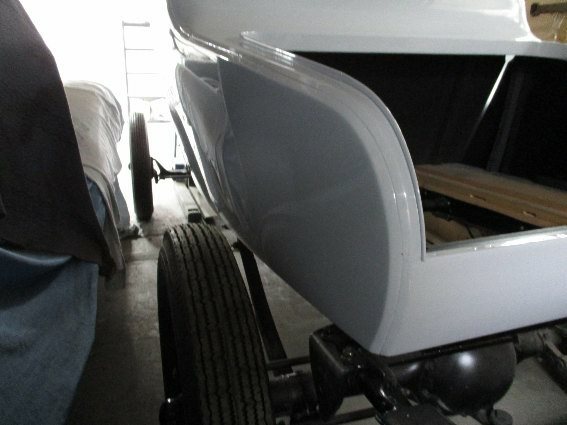 Auto Restorations were commissioned to make a replacement body for this car. 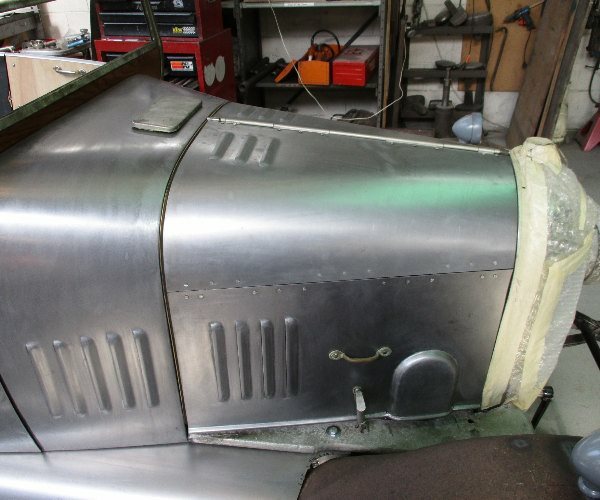 The original body was reasonably complete, but had sat exposed to the weather for many years and was in a very fragile state. 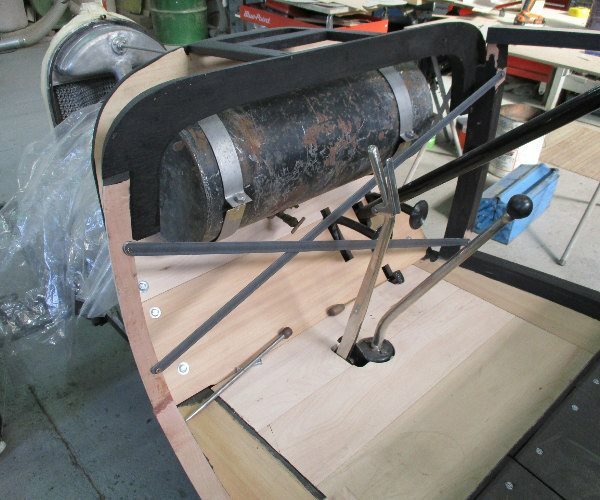 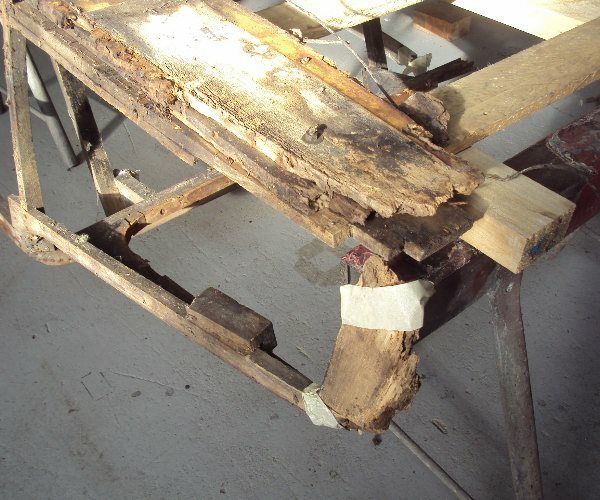 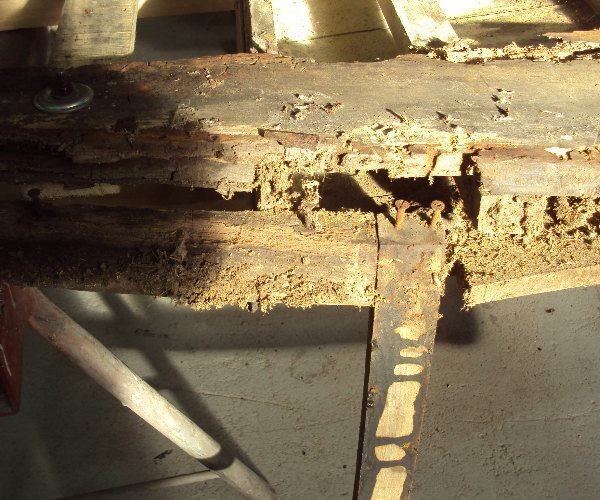 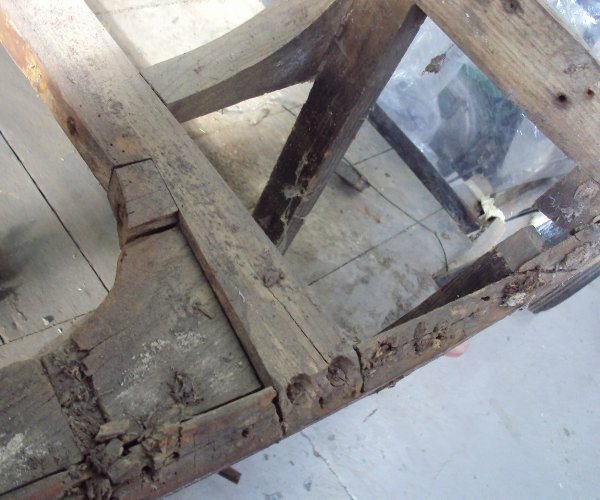 Following disassembly the frame timbers were used as templates and the new frame created. 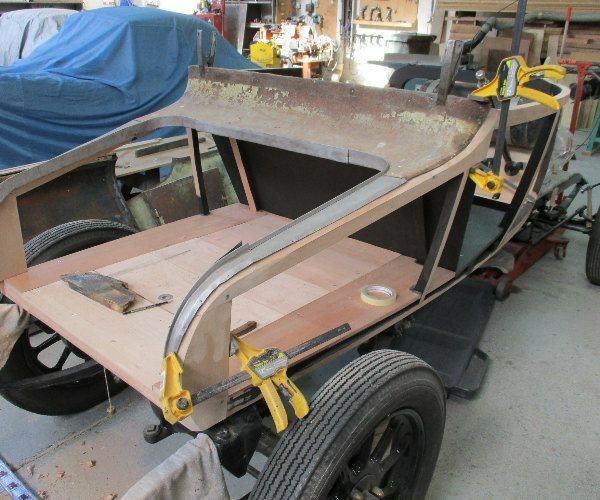 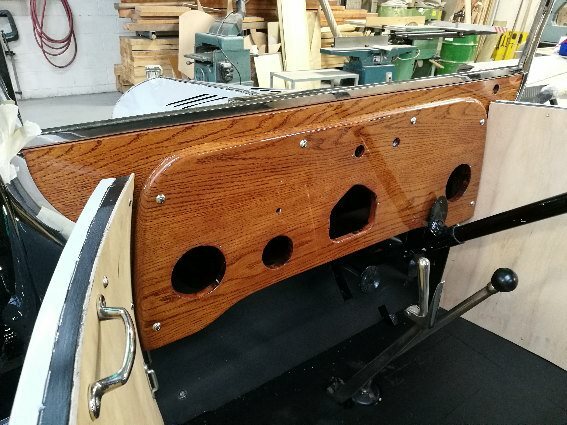 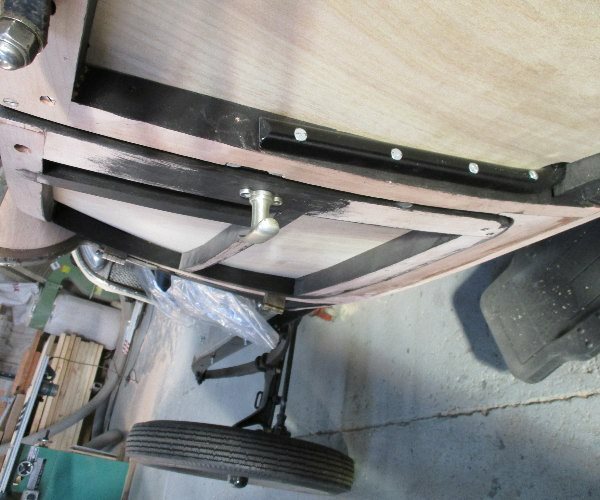 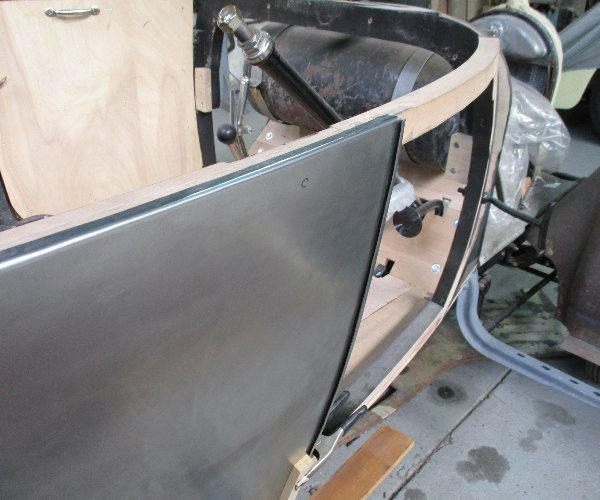 New panels were made to suit the frame and nailed on. 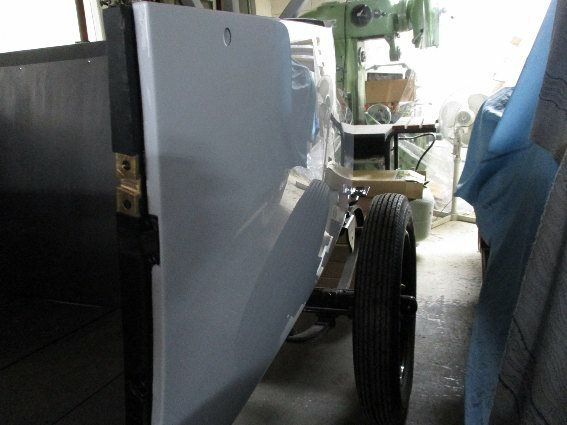 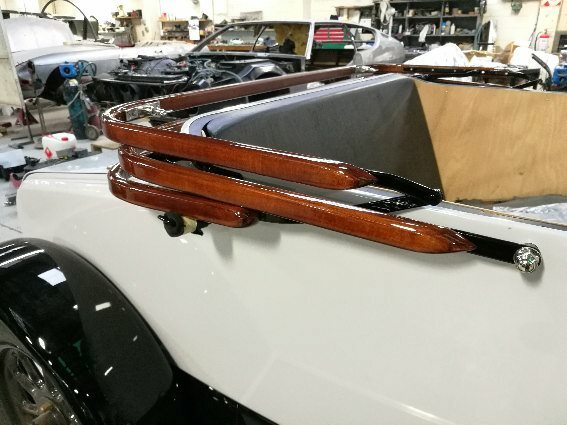 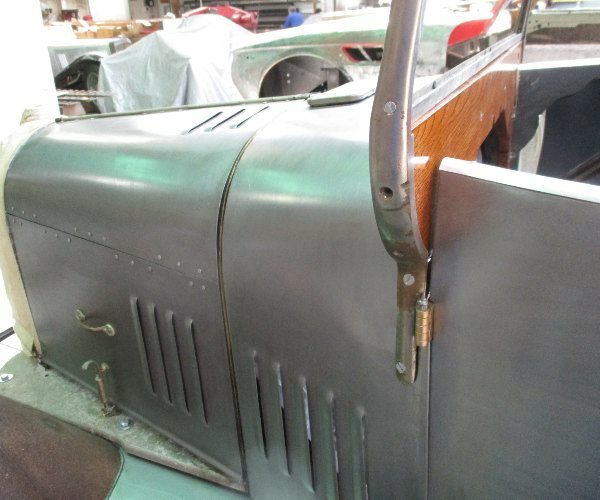 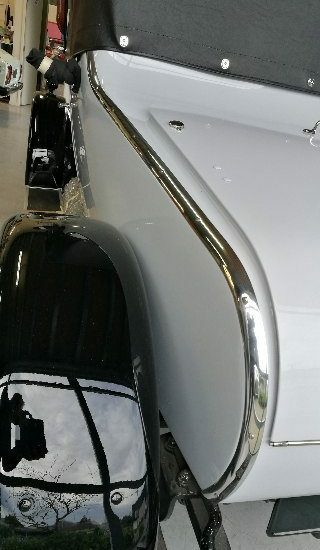 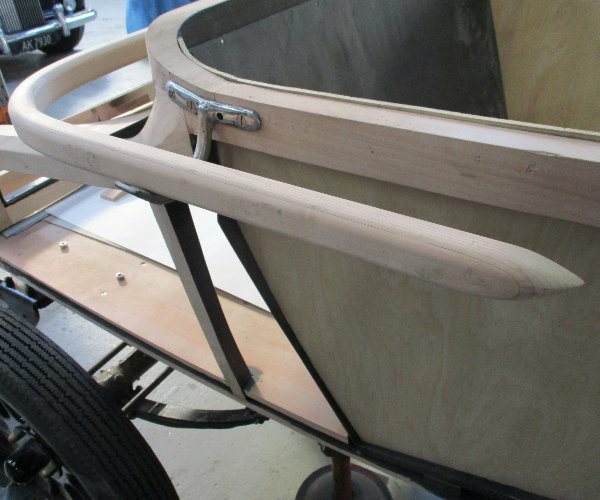 The guards have been resurrected and new valances, bonnet and bonnet rests made.